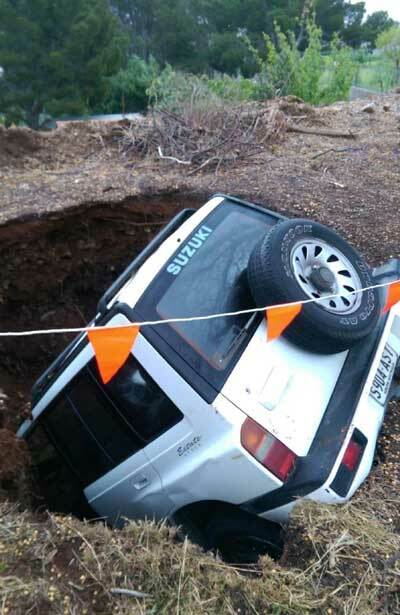 A driver and her passenger were "a little shaken" when the ground gave way and a sinkhole swallowed their car in the Adelaide foothills in Australia. A South Australia Police spokesperson said the driver was attempting a U-turn about 10:40pm on Tuesday when a three-metre diameter hole opened up in the ground. The spokesperson said the young couple were not injured in the incident. 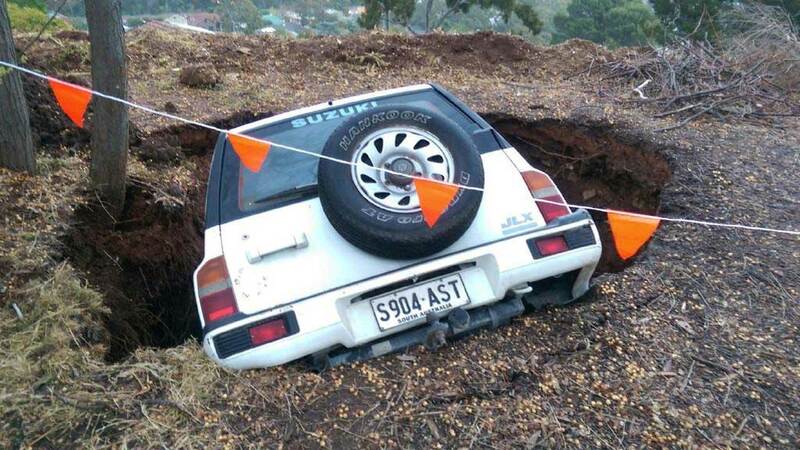 They managed to get out of the car themselves. 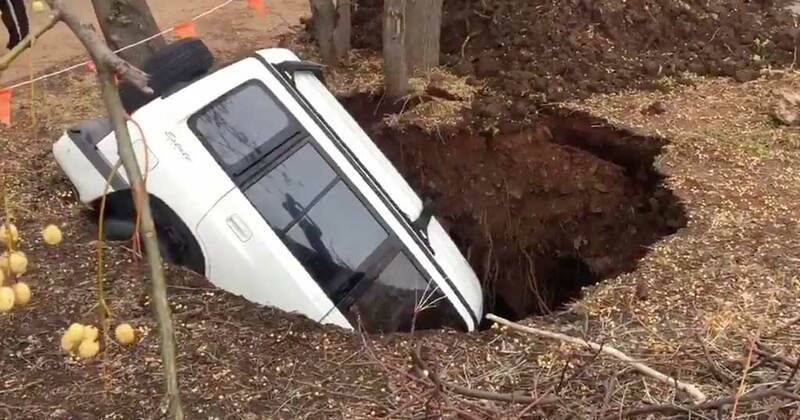 She said residents had suggested there were a lot of abandoned mine shafts in the area, "which could be a contributing factor". 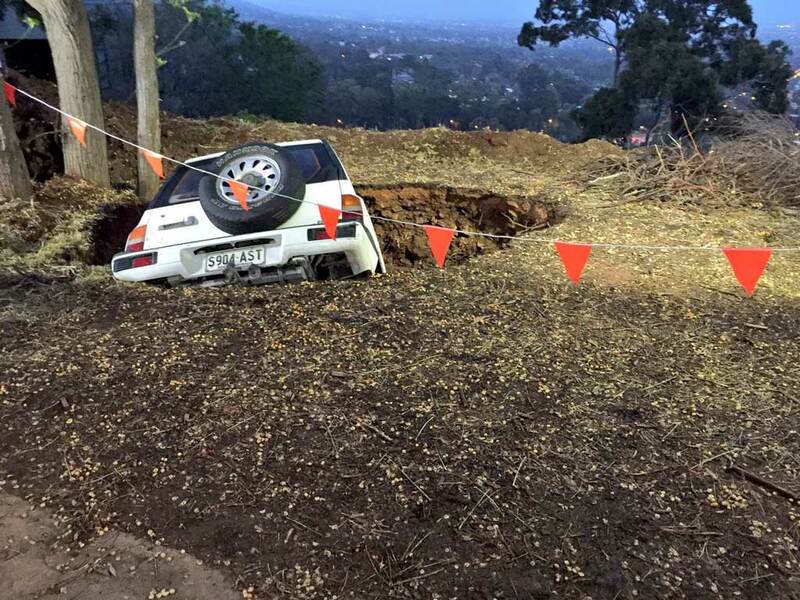 State Emergency Service and council workers decided to leave the car in the hole overnight because several nearby trees and powerlines would complicate its extraction. 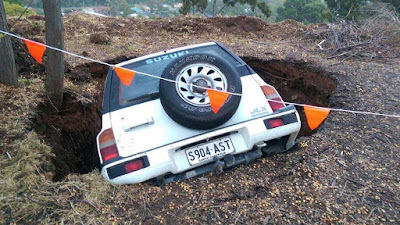 Council workers arrived on Wednesday to remove the vehicle with a crane. I would have been terrified. I'm with you Qualiall, I've seen how deep those can go, too. I'd've needed a fresh pair of knickers.